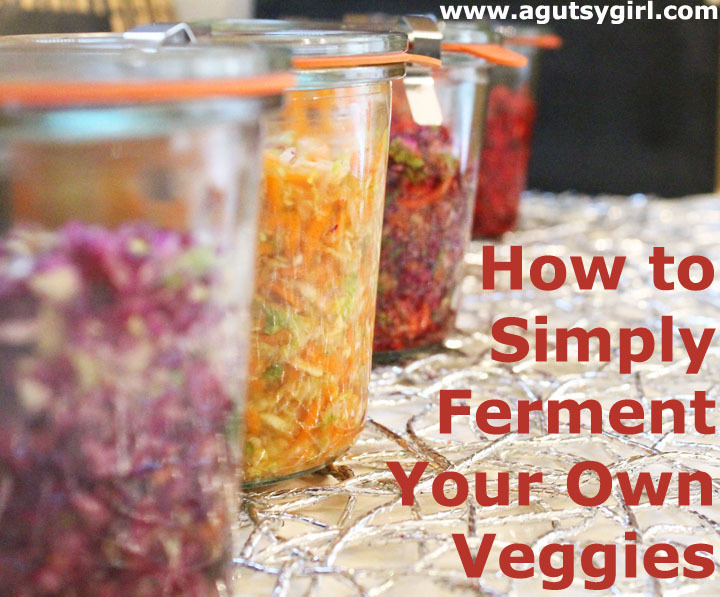 Today I want to teach you how to simply ferment your own veggies. 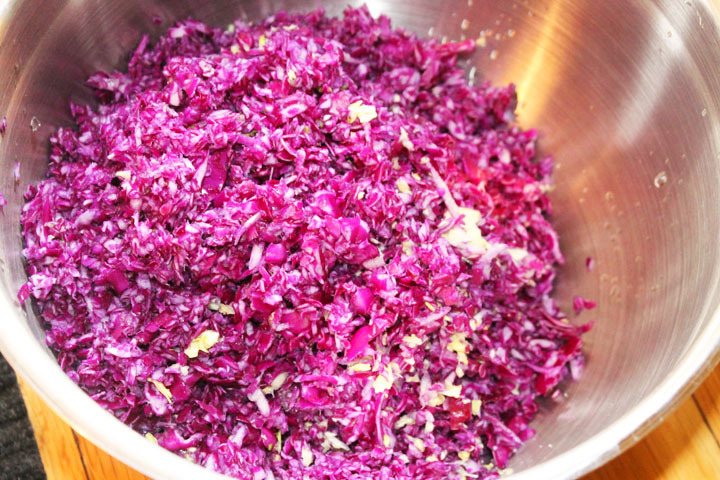 Even though Hilary (the friend I fermented veggies with) is brilliant, I must be honest…. 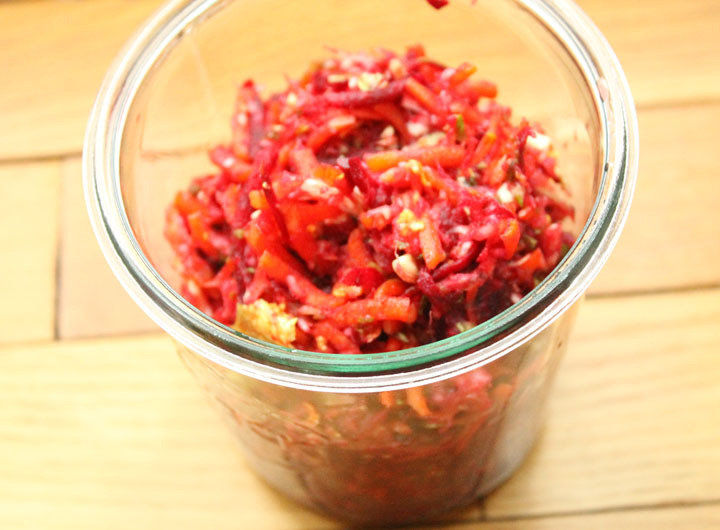 Fermenting veggies is way too easy. I bought this jar from Farmhouse Culture at Whole Foods. It was a ridiculous amount….I think $7.99. But this stuff is so good for the gut, so I grabbed not one, but 3 jars. 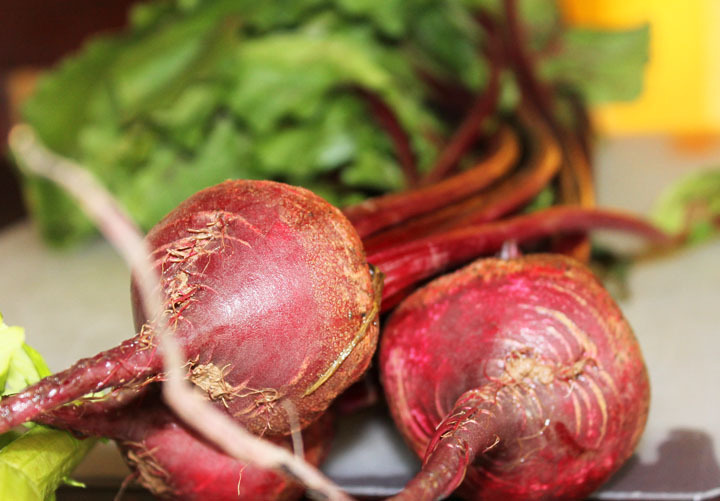 Ingredients: green cabbage, red beets, ginger and Sonoma Sea Salt. Even though the ingredients were minimal, I figured there must be some complex process involved. I mean, how could it be anything but if the price was 3+ days at Starbucks?! 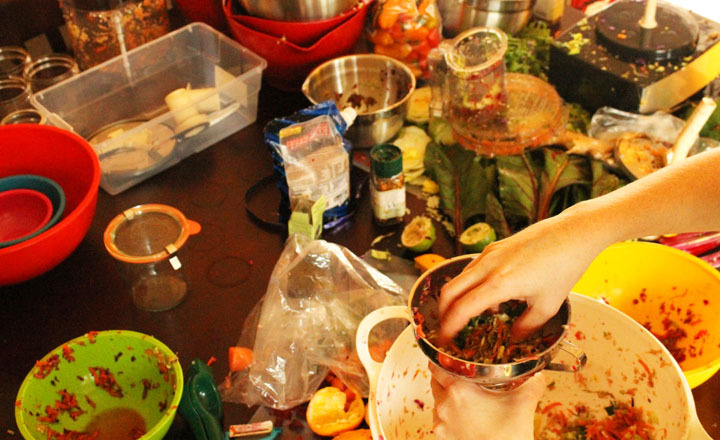 I wish I had a complex, super new and flashy recipe for all of this. We can thank Hilary for her awesomeness on this one. Some of the goods we used included all of these. 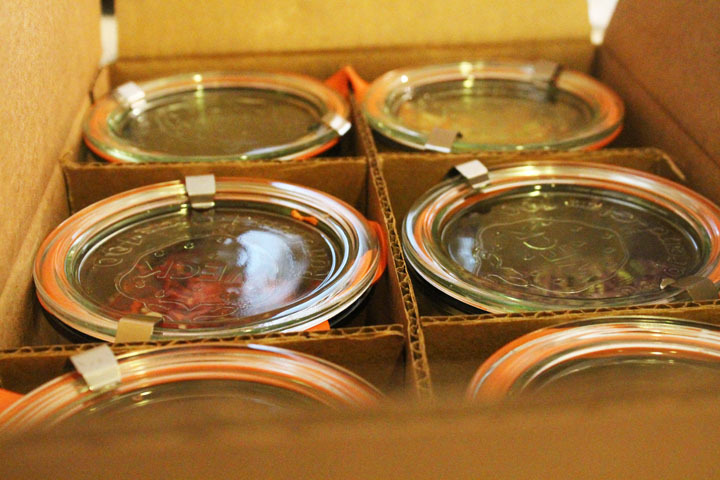 The weekend before, I got my jars at Williams-Sonoma. 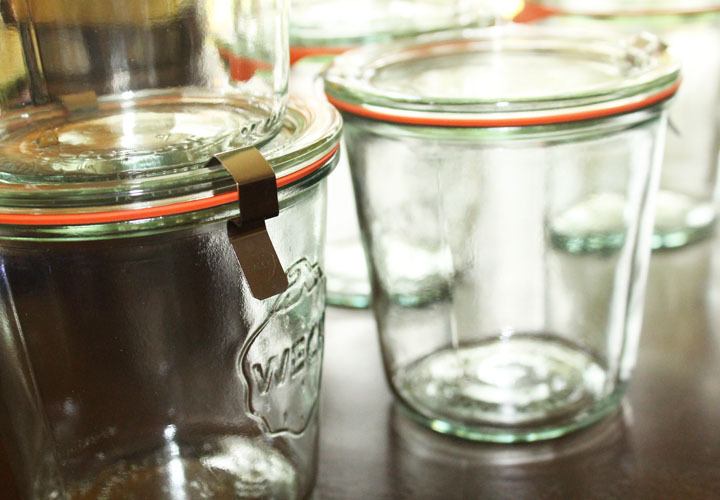 I chose the Weck Mini Mold Jars. I bought mine right in the store, but only a set of 6 and paid $29.99. 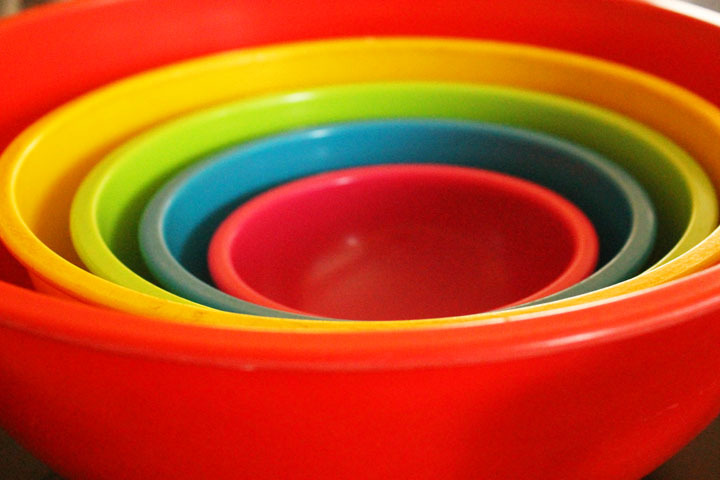 “Hills” (that’s what I like to call her) provided the colorful bowls we performed the shredded mixology in. Everything is brighter with colors like these. 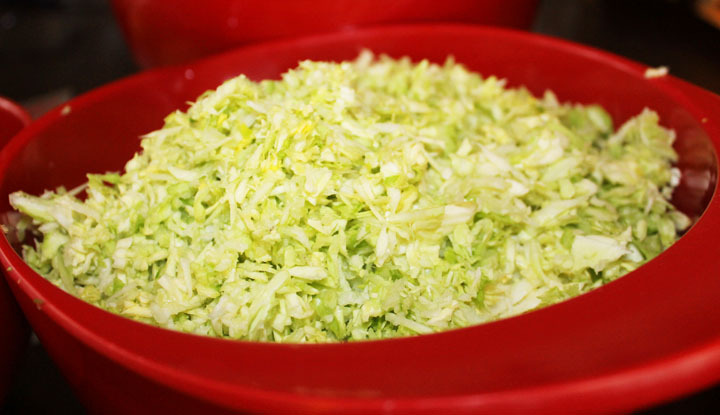 Again, fermenting your own veggies is simple. 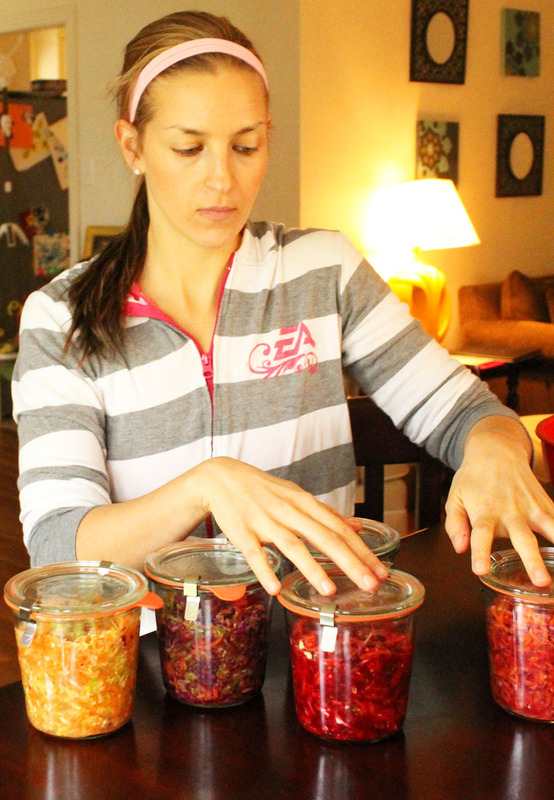 Choose which veggies you want to ferment. 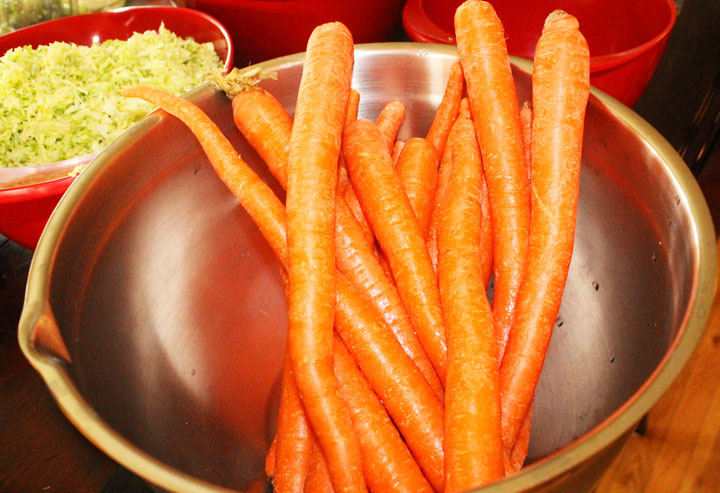 Grind them all up in the food processor. Pick the spices, herbs and other flavorings you’ll want to accompany the veggies. Combine your “flavors” together in one bowl (per jar). 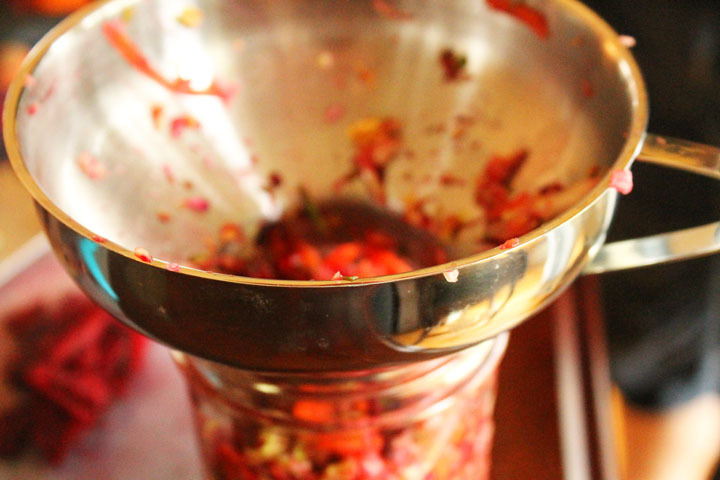 Place a fill funnel over your jar. Stuff the bowl concoction through the fill funnel. Yes, you want to pack it all in, but make sure you leave a little room on top. The finished product will look something similar to this. 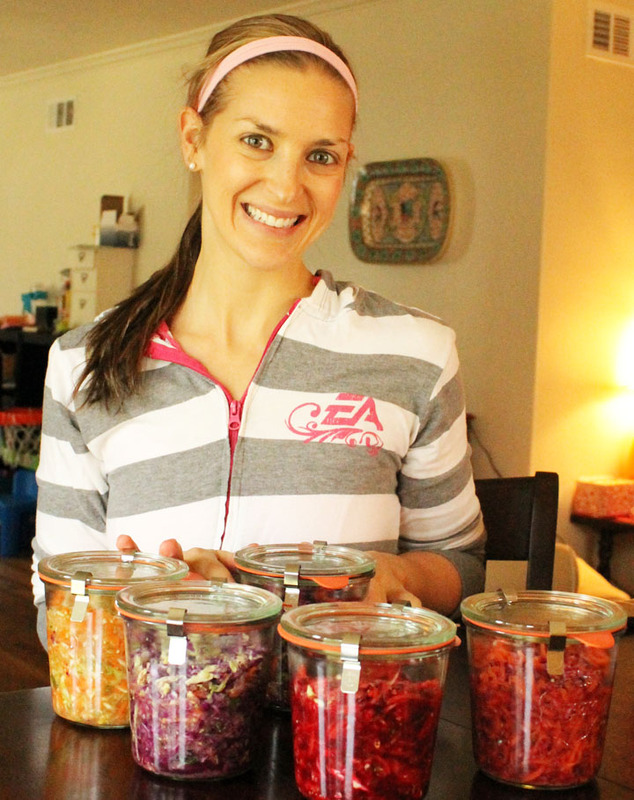 I made 5 different fermented veggie jars. Can it get a little messy? Yes, ma’am. But then the process is done. The jars are filled, and the fermenting has begun. I took mine home in the same box I brought/bought them in. I placed them on the counter, away from sunlight for about 7 days. Once they are fermented, they should go in the fridge. I have been enjoying them daily, and I cannot wait to make them again. 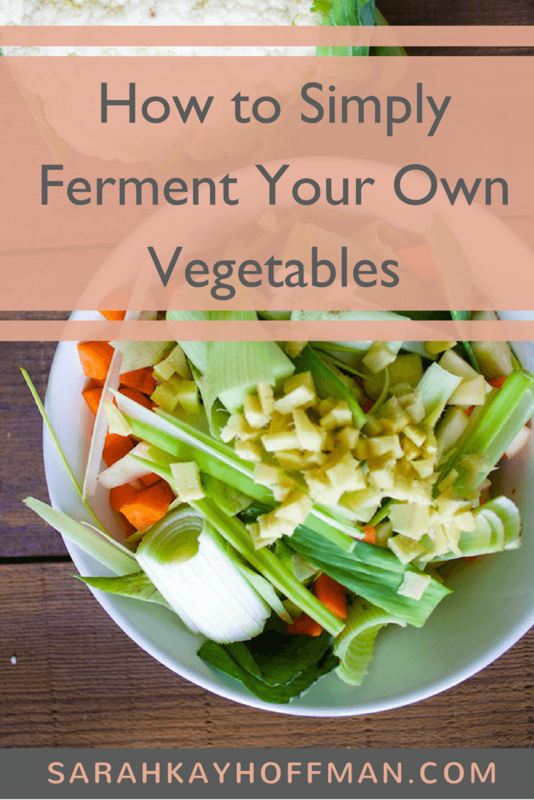 So tell me….do you ferment your own veggies or might you start now? Any awesome combinations you have tried or want me to experiment with? And p.s. Remember….click HERE for an even easier way! p.s.s. You can also brew your own kombucha. What beauties! Love the vibrant colors! 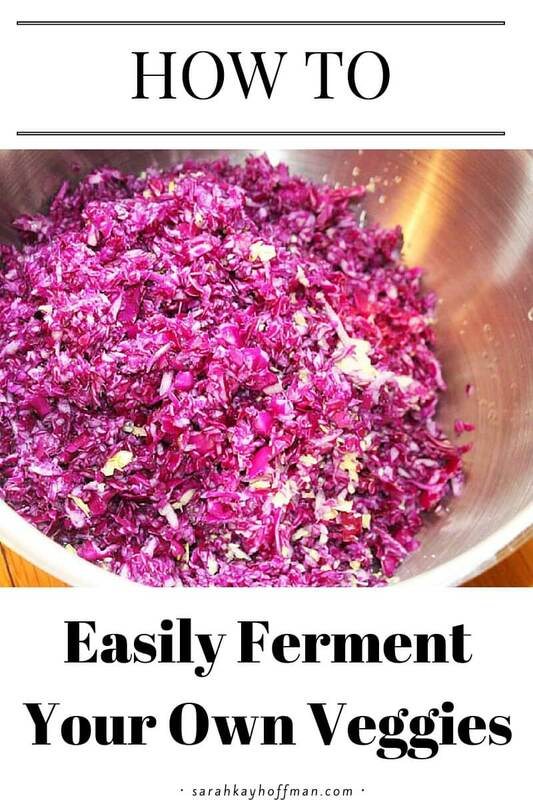 I’ve been wanting to ferment my own veggies for ages (I need a food processor). Thanks for making it look so simple! Aren’t they just gorgeous?! So glad you enjoyed the post! They are beautiful…. 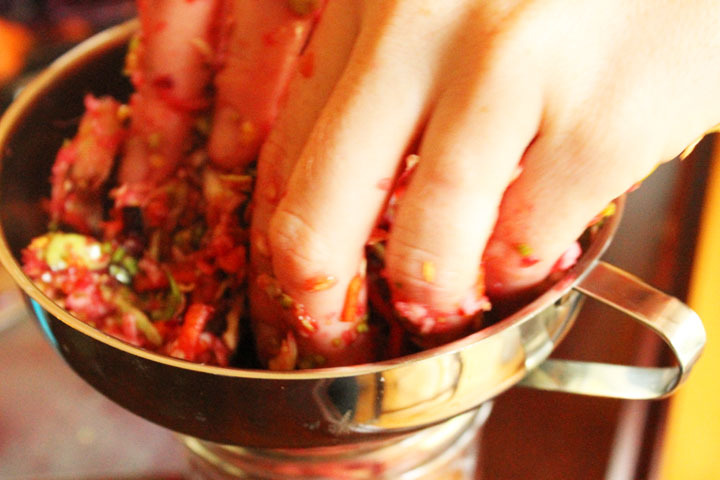 Are you able to use canning jars? 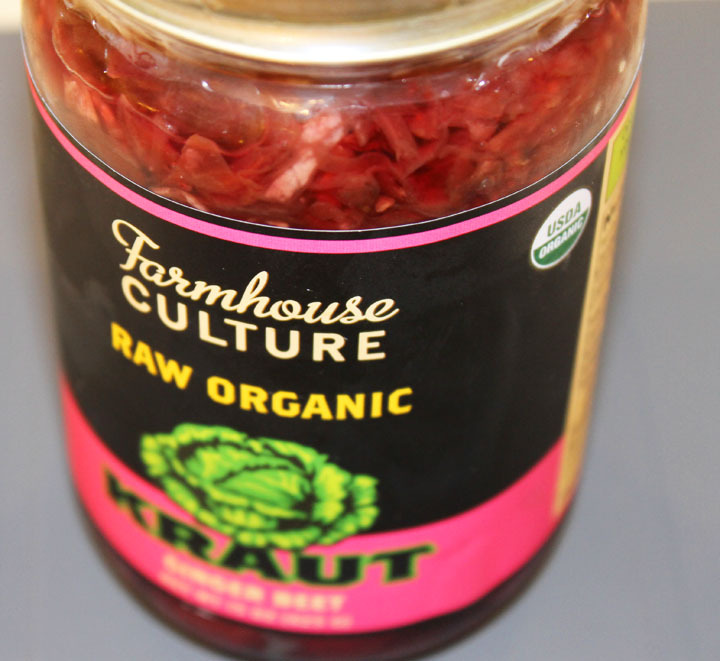 I can all of my home grown veggies, making sauces, salsas, pickles and much more but never have fermented any thing and looking forward to it. Am I correct that there is no sealing process to do like in canning? I can’t wait to get started. This is awesome! I’m almost out of what I currently have and plan to make this is full effect. 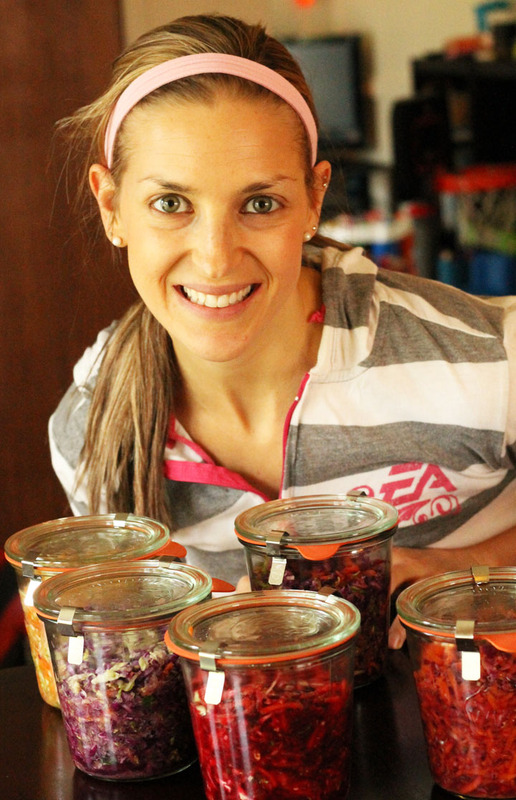 Only question is that, did you fill the rest with water once you stuff the jars with the veggies Sarah? Thank you for this awesome recipe once again! Hey Richard! No, I “topped” it with the leftover “juice” from the mixture, though. Oh awesome thank you! This is rather easy! FYI, I have seen some people add a little water to the top. I had so much from the “juices,” so I did not. I will continue to experiment. Oh for sure you could add it to the wedding list. 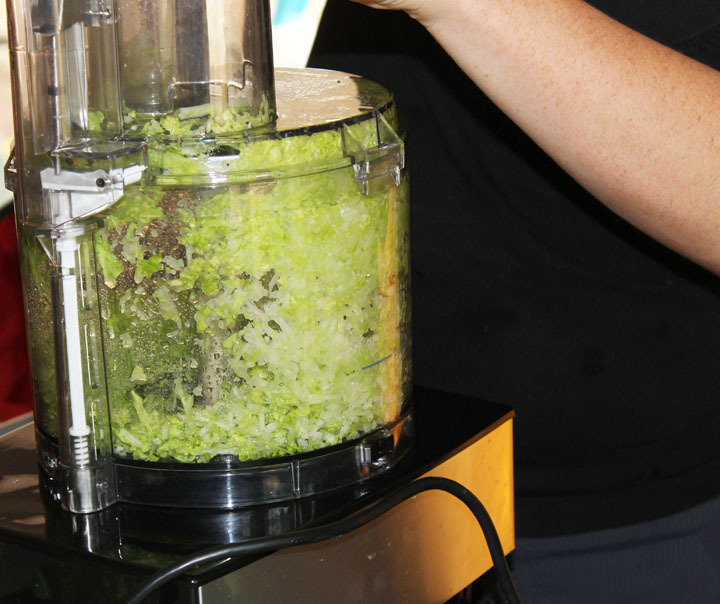 The food processor serves many phenomenal purposes! Hi Suzanne! Wait…you mean to tell me that the spendy Williams-Sonoma jars are not the *only* ones out there?! 🙂 Great ideas! I am curious… it seems that fermenting would cause *gasses* and for things to bubble and expand in the jars… so is it OK to seal them tight with the rubber rings and metal clips, or will they explode unless left with a space to breathe? Thanks!! Great post! Can’t wait to make my own since the bottle I bought today near me was $13!!! Yikes. Crazy Wholefoods. Hey Eve! No, they will not explode. Just be sure to store them out of light:) Have fun! First off Sarah, you have been an angel to me!! I am so thankful to have your blog as a reference and your story as inspiration. I am a senior in college and I have struggled with ibs-c/food intolerances since middle school. 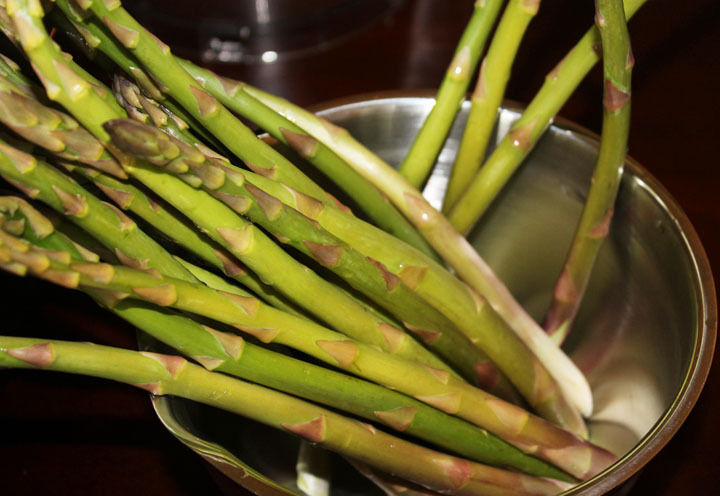 I cut out gluten and dairy my freshman year of college, then sugar….now this past semester i have cut down on fruit sugar and noticed an increased sensitivity to fodmap’s foods. Hahaha i never thought i wouldn’t be able to eat brocoli, apples (my favorite) and avocado–but here i am, and i am okay. A few months ago i purchased your gutsy girl bible! It has been so helpful for me. Thhhahaaaaaaank you for giving the complicated experience of digestive issues a friendly face. 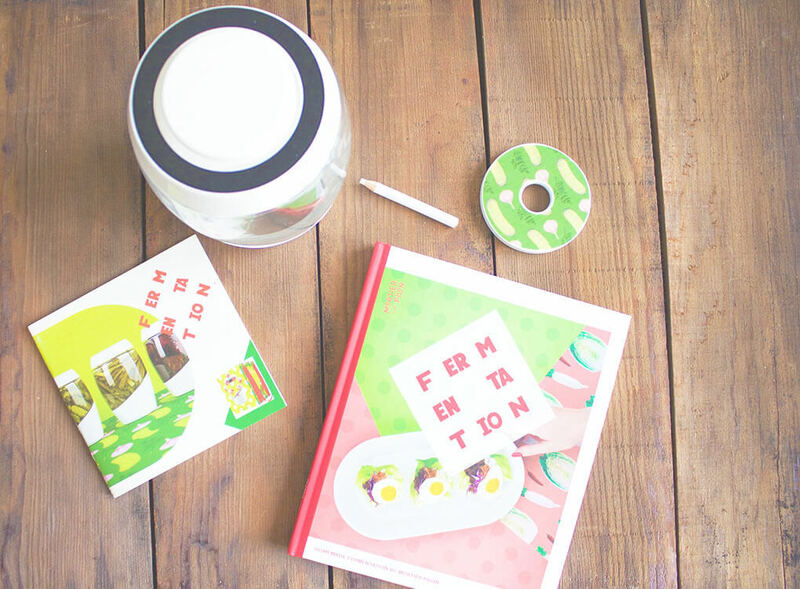 For telling your story, and making us all feel more understood. You have offered me so much hope, information and motivation. While i am here, i have a question…. Also—i am wondering what your thoughts are on store-bought kefir. I know that everyone is different, so you can’t just tell me what to eat. However, i have been able to tolerate it quite well but am wondering if i ditched it for a while if i would see my gut healing speed up. Thanks again for sharing beauty and truth. In this journey i am constantly reminded of Jesus’s faithfulness in bringing us healing. Matthew 8: 1- 17 has three great instances of healing. He is willing. We are healed by Him. You have helped teach ME to be willing to receive. I must stretch out my hand! I have to walk this journey and it isn’t a sprint, it’s a marathon!